Matt Hawkins (IXTH GENERATION, THE TITHE), Bryan Hill (BROKEN TRINITY, NETHERWORLD), and artist Isaac Goodheart will launch a new story arc in their bold ongoing series POSTAL this November. Previously in POSTAL, the townsfolk of Eden, Wyoming were rocked by the first official murder in twenty-five years. This event had special significance, owing to the fact that Eden is a haven for fugitive criminals waiting on their last chance at redemption. Crime of any sort is not tolerated by its ruling family, the youngest son of which is seen by the FBI as a weak link to exploit; the murder of a strange girl is their opportunity. 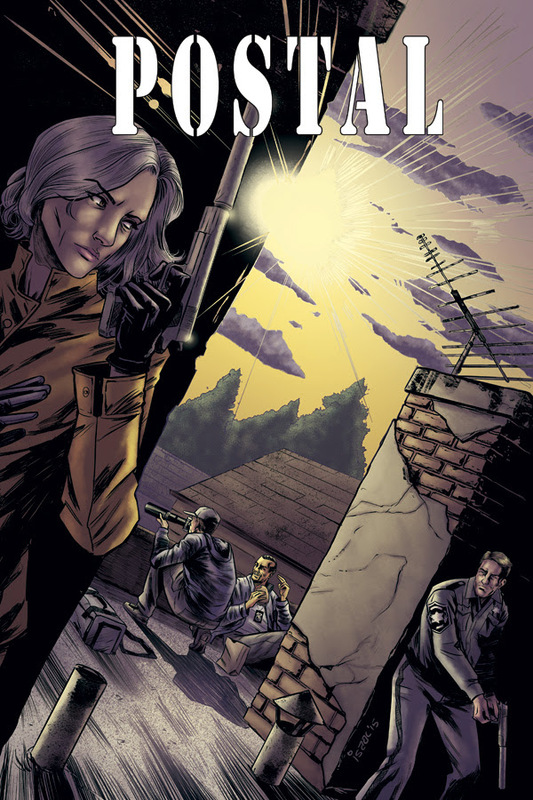 In POSTAL: FBI DOSSIER #1, readers discover why the FBI doesn’t raid Eden. Mayor Shiffron keeps these wolves at bay, but by what methods? “We get a lot of questions from readers about the origins of Eden and how it works and this one shot dossier style book is intended to help fill in some of those gaps,” said Hawkins. POSTAL: FBI DOSSIER #1 Cover A by Linda Sejic (Diamond code SEP150541) hits stores Wednesday, November 11th. Cover B by Isaac Goodhart (Diamond Code SEP150542) will also be available on Wednesday, November 11th. Final order cutoff deadline for retailers is Monday, October 19th.